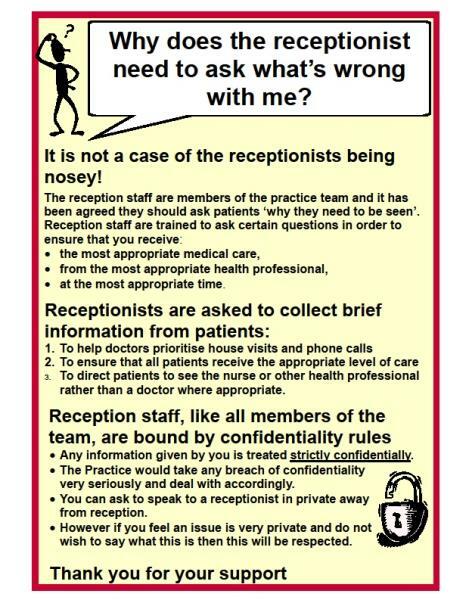 Why does the Receptionist ask questions?? Going on holiday and need travel advice/vaccinations? The new Meningitis ACWY vaccination is now available to all patients who are going to University for the First time in Sept/Oct or those aged 18-19 years old. There is great pressure on appointment availability. Our policy is to encourage patients to attend for any booked appointment made. Please click here for more information on how we manage missed appointments. Did you know that many minor ailments can be dealth with directly by your local Pharmacist?